I have the base interior. Want to find all the leather parts to apply protection lotion. The seats are partial leather, which I take to mean vinyl. The smooth leather on website is listed as the following: steering wheel, gear shifter (and boot), door handles, door armrest and panel, and console lid. The console lid seems plastic though, and I can't convince myself the door armrest and panels are leather. Does anyone have more refined information? Thanks in advance. The console lid is plastic on the base model and leather on the S and above. I had the partial leather seats on my 981 and have full leather interior on the 982. If I recall correctly, only part of the seats were leather on the 981 and everything else was faux-leather material. There was no stitching anywhere except on the seats. With the full leather the following are leather and stitching is present everywhere: seats, door panels, upper and lower dash including glove box, instrument panel cover, steering wheel center, console sides, console lid, and probably more I am forgetting. 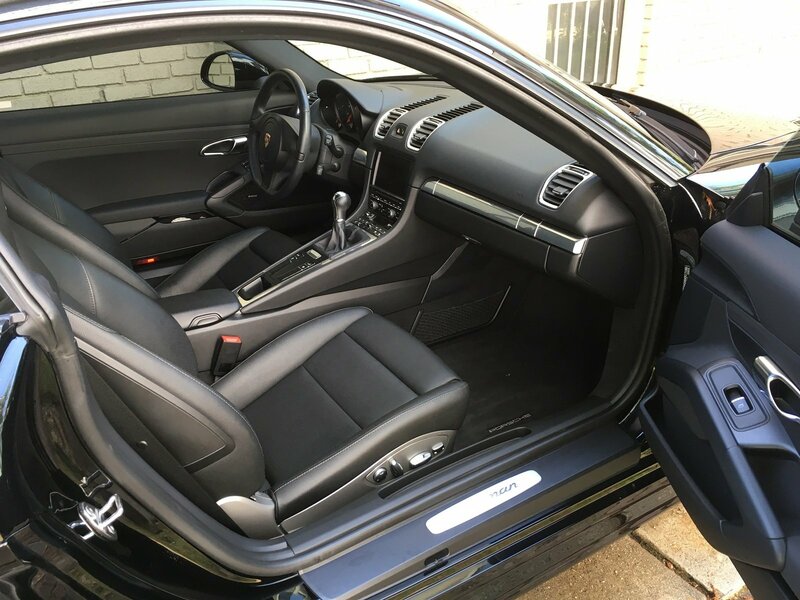 I've got the "full leather" Chalk/Black, and as far as I'm concerned, every surface in the interior is plastic. The "leather" on the seats is covered with a thin layer of plastic. The soft plastic is plastic. Vinyl is plastic. There seems to be a rise in car care products, whether a cleaner, conditioner, or protectant, designed and marketed for everything in the interior - plastic, vinyl, leather, let's include rubber - because they are all essentially, in fact, plastic. I would gladly get leather care products if I thought they would do anything for me that the "all-in-one" cleaners and conditioners don't, but I just don't believe that's the case. There is some luxury aura to being able to claim all leather. 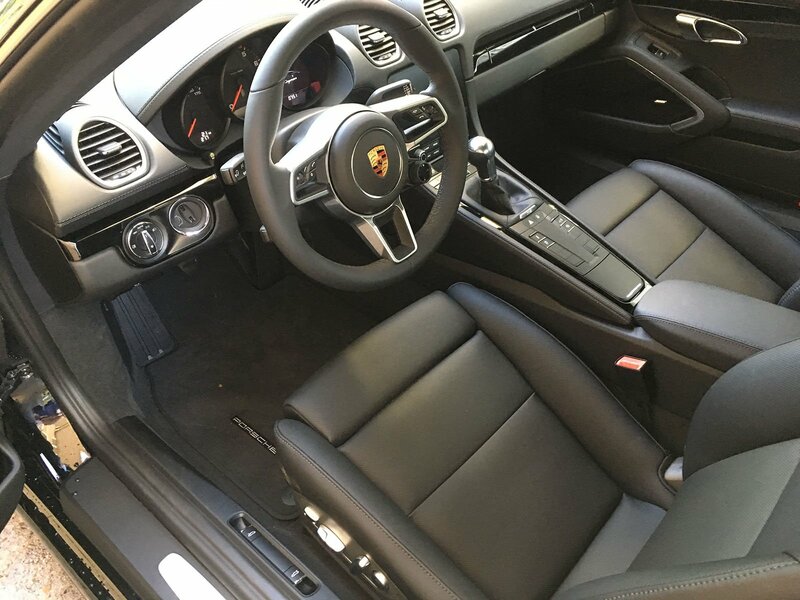 I did the alcantara/full leather (but not GTS interior) upgrade myself. That said, the "leather" dash, console, door panels, etc. seem to be a fairly low grade composite leather material. I would have strongly considered the natural leather upgrade if it had been available in black (without paying for custom color). It is always challenging to decide on interior care products for that type of leather. The good news, is I also expect that type of leather to wear well. My 2012 Acura TL has what I consider higher quality leather on the seats and you definitely see creases and some discoloration. Look at the photo I posted. There is stitching right next to the tear in the plastic veneer. at least this is the information i had from my Porsche dealer. Additionally leather can be treated with varnish (paint/lacquer) for protection. Most motor vehicle leather, with VERY FEW exceptions, has a polyurethane coating. The more expensive the leather the better the base leather and the thinner the coating, resulting in a softer, more pliable surface. Put a drop of water on the leather. 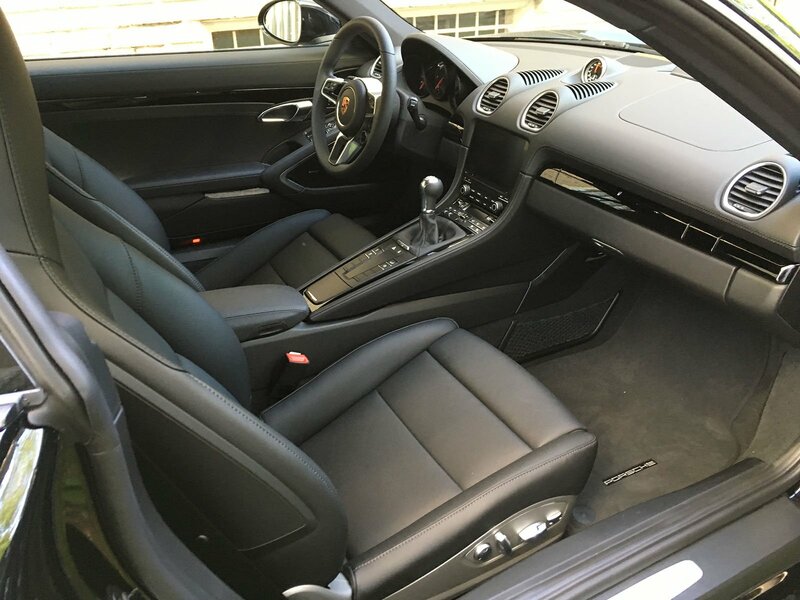 If it soaks in immediately it is uncoated leather and you must clean and protect with leather products only--and do it often. It will stain. 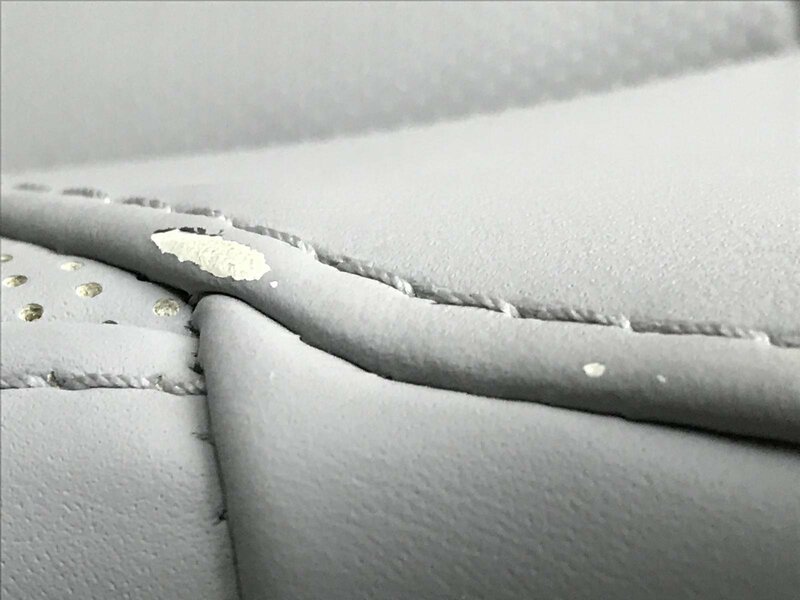 If the water stays on the surface then products should be designed for coated leather and it will need cleaning and protecting much less often. Coated on not, a hard scrub is definitely not applicable. Soft natural bristle brushes and clean cotton rags only. If you wouldn't scrub your skin with it then it can easily tear up the surface of decent leather. ArchiProf and Viffermike like this.